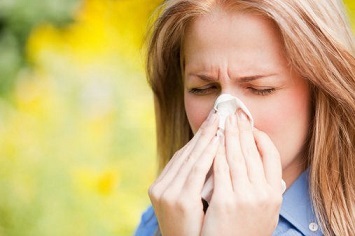 Do you suffer from persistent allergies? Have you tried over the counter allergy treatments to no avail? Don’t give up and accept your allergies as something you’ll just have to live with. The Allergy Group can help you find the relief you need. Whether you suffer from seasonal allergies, pet allergies, food allergies, asthma, eczema, or other allergy-related conditions, we’ll help you find a solution so you can live your life without fear of the next allergy attack. We’ve proudly served the people of South Florida for over 30 years. So if you live in Aventura and need a reputable allergy specialist, The Allergy Group is the place to go to find some of the most experienced allergy doctors in your area. You might wonder if you actually need to see an allergist. First, let’s explain what an allergist actually does. Our ABAI-certified allergists specialize in the diagnosis and treatment of all kinds of allergies and allergic reactions, including asthma. They will work to detect the source of your allergies, then eliminate the pesky allergy symptoms. If you suffer from uncontrolled allergy symptoms in Aventura, you should consider seeking help from our certified allergy specialists. If you visit us at The Allergy Group, you can expect our trained allergists to provide you with high-quality care and compassion. So what happens when you visit one of our allergy doctors? At The Allergy Group, we provide our clients with undivided attention and a personalized treatment plan. Your condition is unique, and your treatment should reflect your individual needs. We provide the latest technology in allergy testing so we can pinpoint the very cause of your allergy symptoms. Once we’ve identified the culprit or culprits, we’ll provide you with some great treatment options. Some people benefit tremendously from allergy shots. Allergy shots are proven effective for a variety of allergies including bee stings, pollen, and dust mites. We utilize the most effective prescription medication for asthma such as Advair, Symbicort, Dulera, Breo, Xolair, Flovent, and Singulair. In addition, we use various prescription medications for allergic rhinitis and allergic conjunctivitis such as Singulair, dymista, pazeo, and pataday. Over-the-counter medications, such as Flonase, Zyrtec, Claritin, Nasacort, and Allegra are sometimes used in combination with prescription medications to create the most clinically effective and cost-effective treatment plan for those with allergic rhinitis and allergic conjunctivitis. Whether you have seasonal or pet allergies keeping you from things you enjoy, or a life threatening condition such as food allergies or asthma, The Allergy Group is there for anyone who needs a reliable allergist in Aventura.